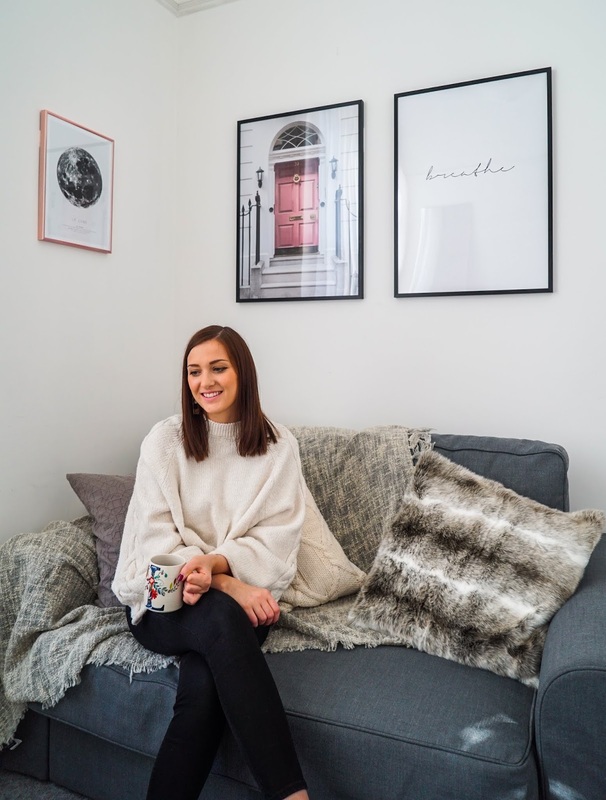 So you are renting a flat but you still want to make it feel like yours, feel homey and cosy but you don't want to break the bank right? I honestly don't think you have to spend a lot of money to do this. I think it is all about accessorising your home, and making the most of what you have got. Adding simple touches like candles, photos, prints as well as adding some texture through cushions and throws really can transform any room. 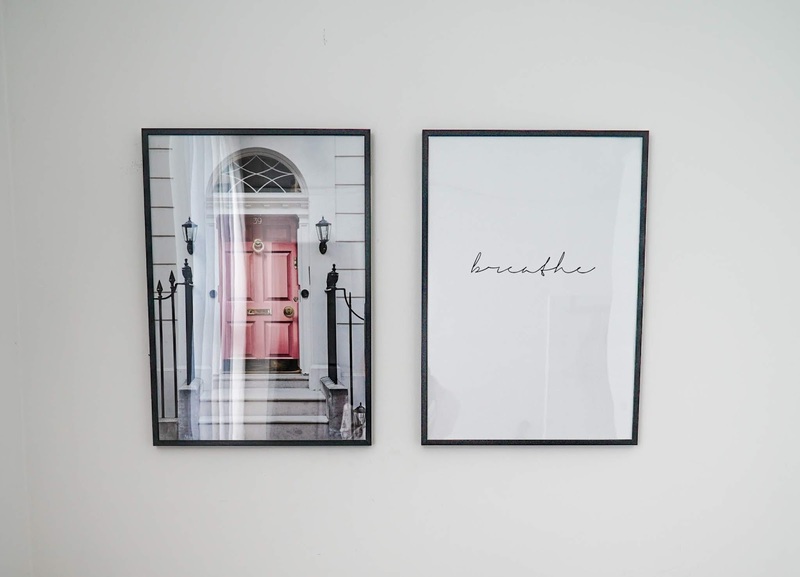 It is such a simple way to add your own style into a room and make it feel more like home. Plants and flowers are also a great inexpensive way to add some life and colour into your space and it makes such a difference. I have lived in my flat since April and have slowly been working on adding my own touch to the place. However my spare room is somewhere that has taken more of a backseat and we have neglected. It was very empty and bare before but with the help of some amazing prints from Desenio, it is really starting to come together. I think adding prints to the walls really lifts the room and definitely adds some character. 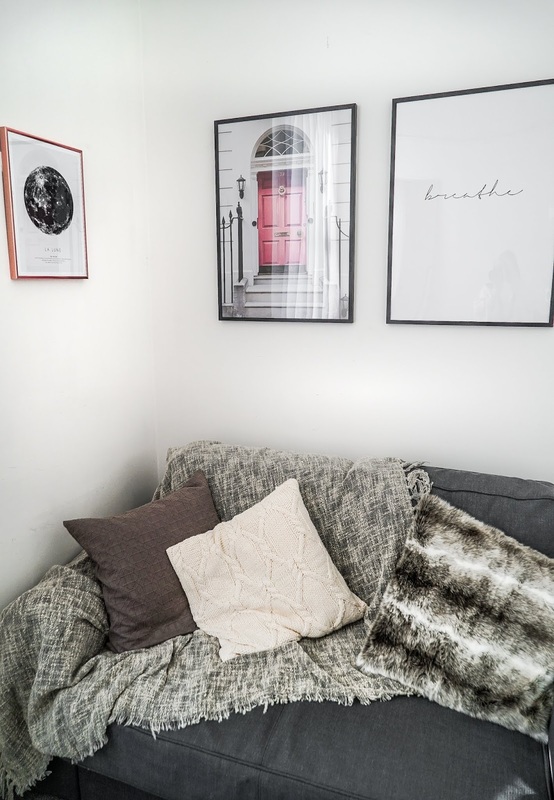 This room is where I get ready every morning and somewhere I want to be able to chill and work on my blog cosied up on the sofa and I think I will feel so much happier in the space now with the new additions to the room. 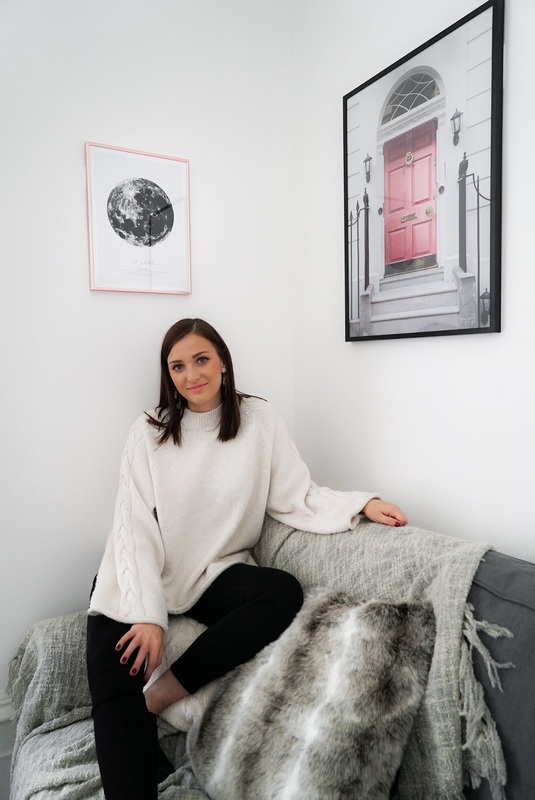 I am so happy to be collaborating with Desenio on this post as they are a brand that I actually love and somewhere I have bought some prints and frames from before. They have such an amazing selection and range of prints, in all different sizes - there really is something for everyone. They have recently released their 'London Studio' collection, which I was very excited about and just had to pick this pink door print. The prints are reasonable priced and what I love the most is that you can buy the frames that match at the same time. It makes the whole experience so easy. They also have a great choice of frame colours to choose from to suit your own décor. 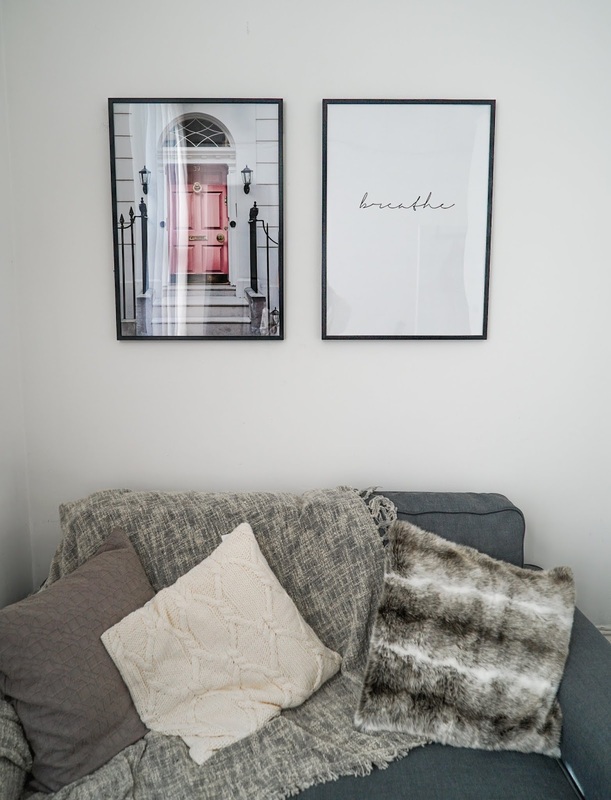 I have the Breathe Print and The London Pink Door Print together above the sofa and the La Lune Moon Print pictured on the left. If you are renting and you can't make holes in the wall like me, then you can get these adhesive mounts strips, which are amazing. They just easily peal off after and leave no marks behind on the wall. The Desenio team have kindly given me a 25% off discount code to share with you all! “The code “LAURENROSE” gives 25% off posters* on all of our sites between November 13th and 15th. *Except for frames and handpicked-/collaboration posters"
I really think these prints have transformed my spare room and I am so happy with them! Let me know what you think?